First of all, I would like to make an apology to you all as this post will be a very long and wordy post. I would greatly appreciate it if you read through this post with all your attention and grab the full picture. I know that it will be hard as there will be too many words but > < sorry! Introduction to KOSE Save the Blue Campaign! Many will be thinking like.. "What is Save the Blue?" & might come out with answers like, "save the Ocean again I guess.."
Well, not quite close to that, as KOSE's Campaign is actually to fund raise for Singapore's "Coral Reefs laboratory". Okay, as in to fund for the research on how to save these creatures in Singapore! 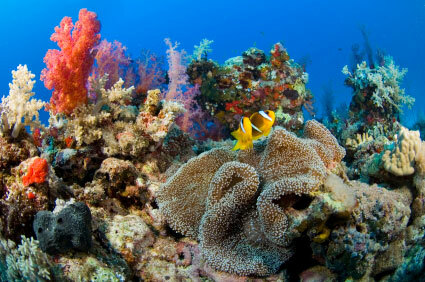 Coral reefs are living organisms that lives in the beaches at the edge of the islands. They are beautiful (and colourful) and oftenly mistaken as plants but they actually breathes like us (and fishes). What's more? 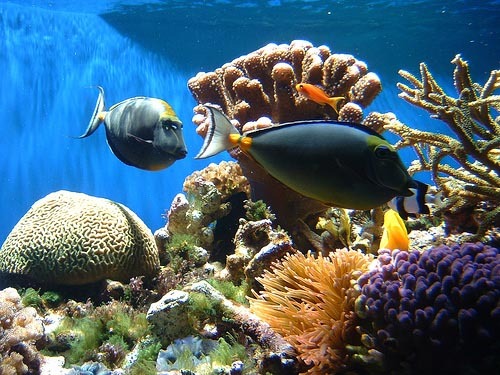 They are also homes for many species such as "mini-fishes", alright, Reef Fishes. These Coral Reefs and Reef Fishes are the main reason why reefs are so colourful, vibrant, attractive and important in the reef's ecosystem. However, these Coral Reefs are dying. The fishes are dying too. The Reefs are losing their beauty and calling for help. So here we are, trying to be saviours of the Reefs and to keep it pretty. KOSE Sg is bringing this Save the Blue concept to Singapore now, but this have been going on in Okinawa Japan for a while! People in Japan are also saving their reefs to keep it's beauty, to restore it's radiance, to maintain it's condition and treat the reefs. Sounds familiar? Yes, of course. Just like what we want, girls/lady/women/guys. We want to keep our beauty, to restore our skin's radiance, to maintain it's condition and to treat our skin. &&&& These are what KOSE's products help us do. Now that we can treat the Reefs as we treat ourselves by supporting this campaign. It isn't hard, you just have to purchase KOSE's Save the Blue products & you're done. What's more? You're saving the reefs as you enjoy... promotions! You'll get to purchase, the limited edition Save the Blue Travel Set @ SGD142 ! Honestly, I find this set ultra-worth it! The products aren't too "travel set sized". The sizes are good enough for you to use them for months! I will talk more about what these products does in the latter of this post. Okay, & this bottle which doesn't have any promotion or special price.. This bottle is honestly... ULTRA-HUGE. I think I can use this bottle for a few years. No joke! I've attended the KOSE's "road-show" as mentioned in my previous blogpost too. Where there were fun and games, pretty Taiwanese star and Singapore's tv-host Lee Teng. 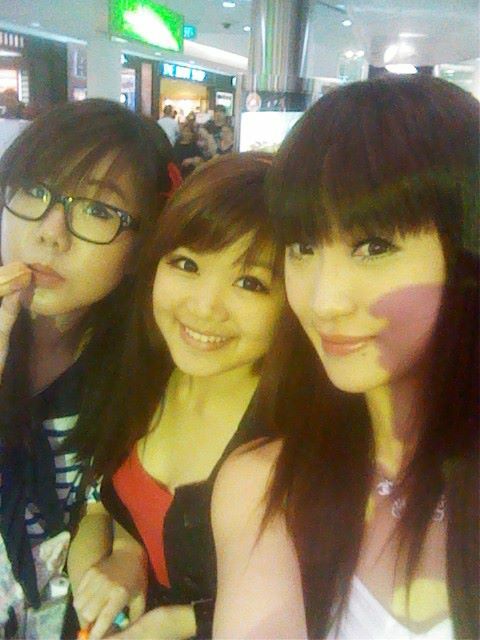 KOSE Singapore was super nice to reserve seats for the bloggers! Ehhh hemmm~ I was very very late so I missed the photo-taking sessions with Lee Teng but it's ok! I thought she was in her early 20s! Ariel is 31 this year. Seriously? Just look at her! & no kidding, Ariel have been using KOSE products since her teenage years! It's not like those brands that select the models based on how they look and "cheat" us showing how awesome their skin is but in reality these models aren't using their products..
She described that she was attracted to the blue bottle and bought one bottle to try and ended up using it for years since then! Last and the most important.. I am going to review and teach you all (who don't know) the steps on using Sekkisei's Travel Set! Oh, and I will let you all know the famous ingrediants used in KOSE's products. KOSE was established in Japan in 1946 (way way back before Singapore was independent). At that time when products with inferior quality sells well, Kosaburo Kobayashi - the founder of KOSE, continued maintaining their product's quality and standard. As a result, KOSE's amount of customers grew. KOSE is famous for their forever-good quality products as they focus a lot on it. Yepp, so we all can start using KOSE products without any worries! SEKKISEI is a brand from KOSE, launched in Singapore for 24 years and was created with a single-mined focus on "Skin that is transparent like snow". *Well, wayyyy before people were so into whitening, KOSE was focusing on it already. In SEKKISEI, their ingrediants are herbal products instead of man-made products. Melothria Heterophylla Extract : Brightening and Moisturising agent used for centuries in China. Chiese Pearl Barley Extract : Herb that whitens, hydrates and has anti-inflammatory functions on skin. Korean Ginseng Extract : Highly valued herb that prevents fatigue and enhances nutrition absoption ability. Cordyceps Sinesis Extract : Herb named-"Elixir of Life" in China, known to strengthen skin's immunity. 1st, SEKKISEI White Powder Wash.
-Snow-like prowder that delivers highly gentle washing for a translucent skin. -For all skin types, suitable for oilier skins. Yesyes, it is really much more suitable for oilier skin. I have a combination and sensitive skin-type. I love how this product brightens my skin after every wash and giving me a very refreshing finish. However, it is slightly too strong and tends to dry up my skin quite a lot after every wash. If your skin is very very dry, SEKIHOU face soap might be more suitable for you. -Use every day and night. -Generously pour lotion on a cotton pad filled with 3/4 wet amount and pat on skin. -Improves skin texture, prevents pigmentation, freckles, dehydration, redness and refines pores. I really love this lotion (toner). It really tend to remove redness and improves my skin texture. It's not too alcoholic to the extent that it dries your skin or gives your skin a pricky-feel. -After Lotion every daily/nightly using a cotton pad, 1 or 2 pumps. -Quick absorbing very light-weight moisturiser with highly emollient formula that brightens and softens skin. -Contains Vitamin C to reduce melanin production (prevents sun related spots and freckles), prevents inflammation and aging spots. -Also contains other ingrediants in suppressing melanin. This product is more-than-awesome, I love how it controls my pimples. It prevents pimples from growing as it prevents inflammation. It soften my skin as well, it really does what it says. However, I don't think that this product is moisturising enough to be used alone as a moisturiser. My skin still feel dry at certain areas even after using this product. So I had to use another moisturiser even after using this products. -Last step of skincare regime at night, apply pearl size amount over whole face and massage. Yes, this cream is very very rich and have an oily finish, it takes quite long to be absorbed by skin. I am not very into anti-aging so I don't know much amout what it does, I seldom use this too. However, I am sure that it is like the rest of the products and does what it is said to do. That is all for my post for today & I know that it is very very very long. Thank you for taking your time to read this post > < ! you look so beautiful (: ! Yes, omg, she look so young despite her age! Looks so cute :) Who gets the credit of your beauty?